Hardcover books will be available for sale for $15. Bring cash, check or credit card. 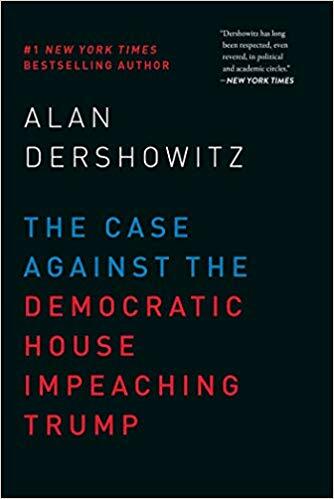 Professor Dershowitz will be signing books immediately after the luncheon on Friday, February 1. 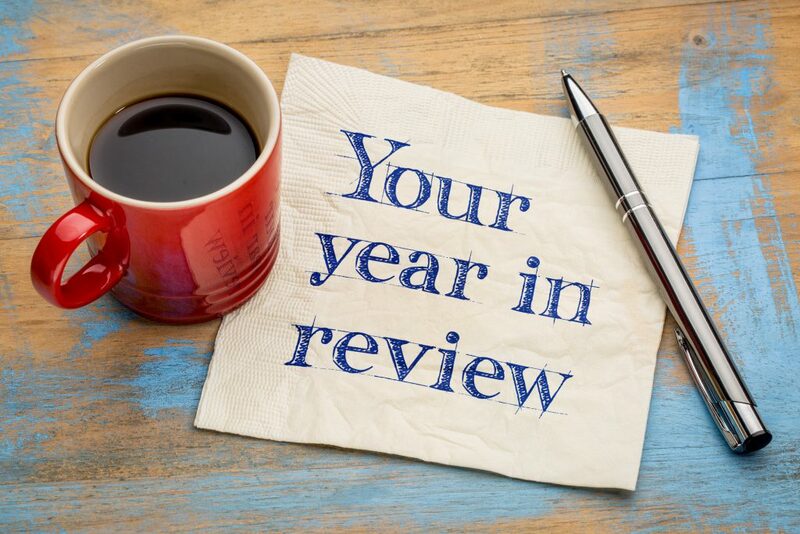 As always, and by popular demand, we start off with the “Year in Review,” highlighting important appellate decisions from 2018. Two years ago, we discussed the People v. Sanchez case before it became a game changer for civil trial attorneys. Come see what could be the next big case to change the landscape of our legal practice. We will tackle the issue that has been one of great distress to the defense bar, that is the ever-increasing California jury awards of huge damages to plaintiffs, including discovery, non-economic damages and the always difficult non-economic, pain and suffering damages. The other track will include using and understanding bio-mechanical experts and injury causation, particularly low to moderate impact auto collisions. Also, we will take a second look at Sanchez, one year later, as it continues to evolve in California courts. 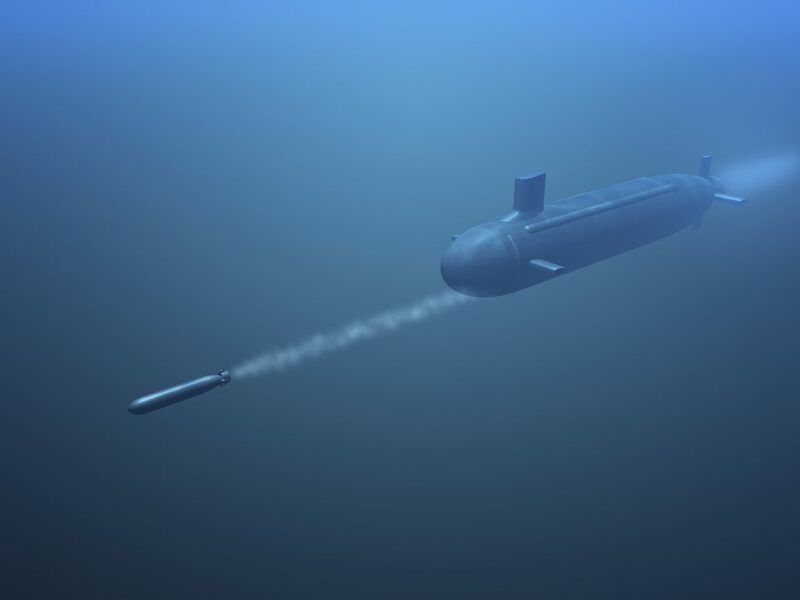 Finally, learn how to “torpedo-proof” your Motion for Summary Judgment. The Annual Seminar is our biggest event of the year, where there will be great opportunities to network with fellow civil defense lawyers, guests from both the insurance world and private business, current and retired judges, as well as many exhibitors and sponsors who will show you the latest products and services to help you in your practice. There will be topical and informative educational programs, as well as the ever-popular cocktail reception and a great keynote speaker! This year, we are returning to the JW Marriott at LA Live, which is an exciting venue with many choices for dining, entertainment, and even “star” gazing. Should you choose to sample the entertainment at Staples Center, some 100 yards from the JW Marriott, you can “Feel the Love Tonight” with Sir Elton John on January 30th. Can’t decide whether you want to see the Lakers with King James, or the LA Clippers? No need to decide, you can see them both on Thursday, January 31st (after the cocktail reception, of course). If you choose neither, rest assured that you can meet our own All-Stars and defense bar Royalty at the educational seminars. 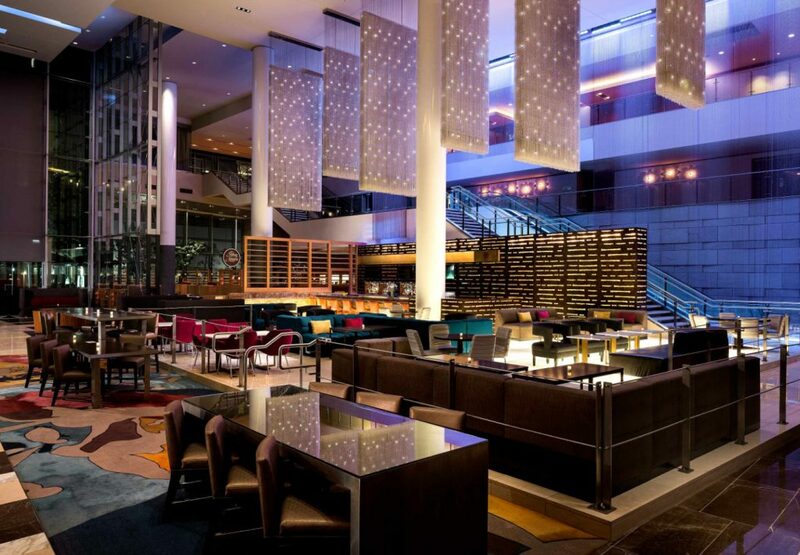 To add to your enjoyment of the event, book a room at the JW Marriott through the reserved room block for ASCDC. The ASCDC Annual Seminar will be held January 31- February 1, 2019 at JW Marriott, LA LIVE in Los Angeles. Are you registered for the event yet? If not, be sure you register now HERE. Summary judgment is one of the most important weapons in a defense attorney’s arsenal against costly and risky trials. But, too many motions fall victim to common pitfalls, both procedural and substantive. If you want to win, you need to set the stage for your motion in discovery, draft proper and effective papers, and provide a framework for successful de novo review on appeal. This distinguished panel will present guidance and practical tips on how to prepare the best summary judgment possible, from beginning to end. We will be spotlighting some of the educational opportunities you can expect at this year’s ASCDC Annual Seminar being held at J.W. Marriott, LA LIVE in Los Angeles January 31 – February 1, 2019. The frequency of so-called “nuclear verdicts” has continued to grow over the past decade. This panel will be tackling the issues faced by defense attorneys responding to claims of extraordinary large non-economic damages in cases involving wrongful deaths, catastrophic personal injuries, and injuries to children. 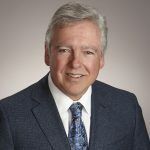 The panel features three of the best defense attorneys in this State as well as one of the most experienced mediators in handling large-loss claims. We’re thrilled with the response we have gotten so far from vendors who want to be part of the Annual ASCDC Annual Seminar. The event will be held January 31- February 1, 2019 at JW Marriott, LA LIVE in Los Angeles. If you’d like to be a sponsor or know someone that would, click HERE for more information. Join ASCDC January 31 – February 1, 2019 at J.W. Marriott LA Live in Los Angeles for our Annual Seminar. Our inspirational speaker this year is ELIZA JANE SCHNEIDER. Eliza Jane Schneider is a dialect expert, actor and voice coach for the stars. She is known as the “Woman of a 1,000 Voices” and has been the voice for most of the female characters on Comedy Central’s South Park. Ms. Schneider will address often overlooked nuances in communication, what we can determine from them, and how to use our voices to our advantage. Her critically acclaimed one-woman, 34 character show, “Freedom of Speech,” won the “Best Solo Show” award at the New York International Fringe Festival, then ran Off-Broadway at P.S. 122, and was ultimately moved to the The Public Theater. The popular show continues to tour, selling out venues from CitiStage Symphony Hall in Massachusetts to The Washington Center for the Performing Arts. Touted as Hollywood’s premiere professional dialect expert in both voice acting and coaching, she has taught Dialects and Accent Reduction at Brown University, Trinity Rep, The ONeill Theater Center, Word Bridge Playwright’s Workshop, The Famous Radio Ranch, The Learning Tree University, and Dolores Diehls Voice-Over Academy, and was the Master Dialects teacher at The American Federation of Radio and Television Artists (AFTRA) in 2008, the Screen Actors Guild Conservatory at the American Film Institute in Hollywood in 2009. Fascinated by sound all her life, at age 7, Eliza Jane was recognized as a violin virtuoso, studying the Suzuki ear-training method at the Eastman School of Music, where she also studied classical voice. By age twelve, she had gotten her Equity card playing an English role in “A Christmas Carol” and an American Southern role in “Inherit the Wind.” She has since performed in dozens of plays, including the title roles in Antigone and Agnes of God (for which, at age 17, she won Rochester, New York’s “Dionysus Award” for “Outstanding Performance”). Eliza Jane Schneider continues to traverse the globe. She has recorded over 7000 interviews with native speakers of variant forms of English throughout the world, and is one of the top dialect coaches, voice actresses, and fiddle players in Hollywood. 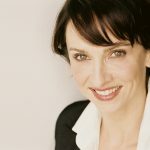 For info on Schneider’s playwrighting and music credits, visit www.elizajane.com. Schneider is a New York Foundation for the Arts (NYFA) sponsored playwright who has developed her plays with dramaturges at the prestigious O’Neill Theater Center in New London, Connecticut, and WordBridge (www.wordbridge.org). In 2007, her play, “Sounds of Silence: A Documentary Puppet Musical Farce about the 2004 Election in Ohio,” was developed and performed at “WordBridge” playwright’s conference with a cast of 11 at Clemson University in South Carolina. Her solo play, “USA 911” was critically acclaimed all the way from Madison Wisconsin to Kilkenny, Ireland, and won her inclusion in the California Arts Council’s Touring Artist’s Roster. Her first solo play, “Road Trip” won her a Drama-Logue Critic’s Award for Outstanding Performance. In 2000, “Blue Girl,” her science fiction rock opera about the return of the goddess, won the LA Weekly’s “Best of LA” award, and in that same year, she also starred in “Blue Girl” at the Mogodor Opera House in Paris, France as part of the 2000 Millennial New Year’s celebration, with former cast members from the Cirque Du Soleil.